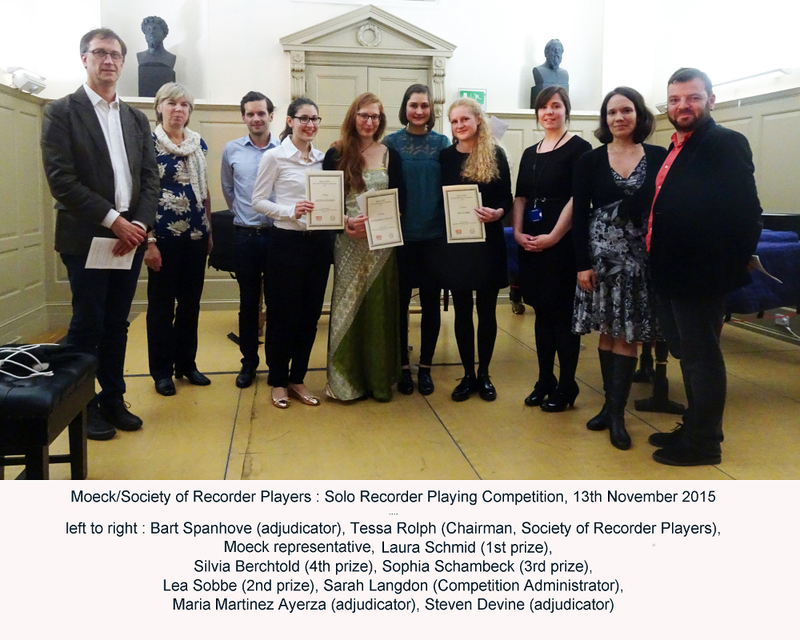 Congratulations to Laura Schmid, winner of the 2015 Moeck/Society of Recorder Players Solo Recorder Playing Competition, the final of which was held at the Greenwich Early Music Festival on 13th November. Good wishes to all the competitors, and their accompanists, who gave brilliant performances of works dating from the 12th century to the present. The full results, decided by adjudicators Bart Spanhove, Maria Martinez Ayerza and Steven Devine, were as follows: 1st prize – Laura Schmid; 2nd prize – Lea Sobbe; 3rd prize – Sophia Schambeck; 4th prize – Silvia Berchtold.